The DIA Pak DAYMATE is the most compact way to organize and carry insulin pens, bottles or pre-drawn syringes. 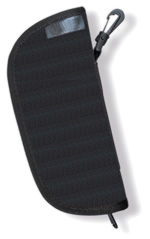 The Daymate is insulated and made from water-resistant nylon - desingned specifically for people with diabetes. 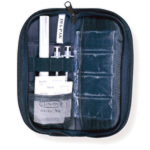 A pouch is available inside the case to add a refreezable gel pack (not included.) Fits any active lifestyle. Measures 6.5 in x 8 in x 1 in. open and 3.25 in x 8 in x 1 in. closed.